Pre-Match Analysis and Interviews. Come along and meet the Offaly All-Ireland winning Team from 1998. 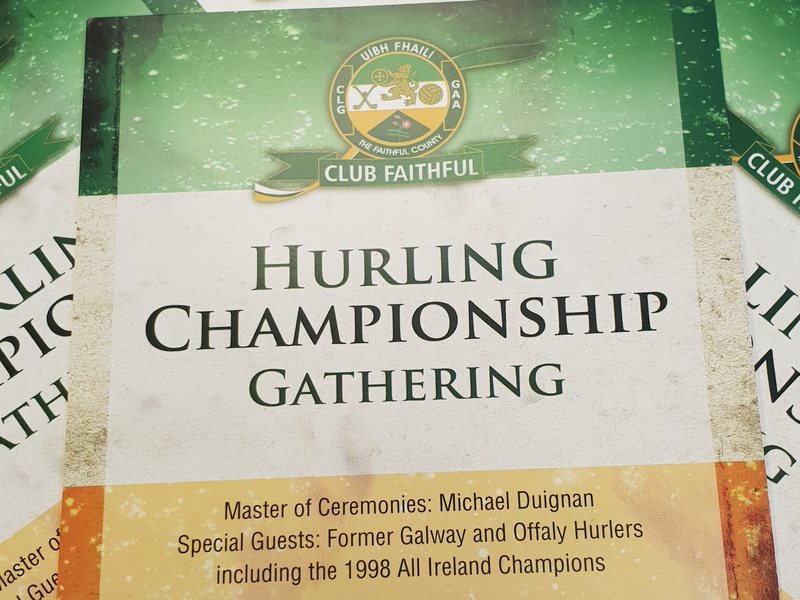 Interviews with past Offaly and Galway players by Michael Duignan. Club Faithful are hosting an event at 4pm on the 12th May in the GAA Centre opposite Bórd na Mona O’Connor Park in Tullamore before Offaly take on Galway in the Senior Hurling Championship. We are inviting the entire All Ireland Winning Offaly Senior Hurling panel from 1998. Michael Duignan will be the MC on the day, interviewing past Offaly and Galway Players. Refreshments and hot food will be served and a raffle will take place in which you could win two tickets to your choice of either the All Ireland Hurling or Football Final. Please spread the word as this promises to be a great event. We hope to see you there on the day. Thank you for your support.